SHARING CREATIVITY and COMPANY: My Paper Pumpkin for Your Quick Crafting Getaways! My Paper Pumpkin for Your Quick Crafting Getaways! My Paper Pumpkin is a quick crafting getaway for anyone who leads a busy life and is looking for creative fun with little time to prep and collect the needed materials. When you join My Paper Pumpkin, every month a box will arrive at your home with everything you need to make the project(s) inside except for adhesive. This card was the April project. Everything you needed to make 4 cards was in the box. 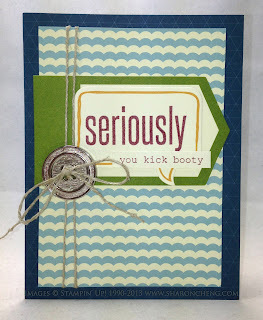 After you make your cards, you'll still have the stamp set and Stampin' Spot to use for your own personal projects. One of my favorite things about the kits is the card stock. See the Midnight Muse card base? Inside, the card stock is white. 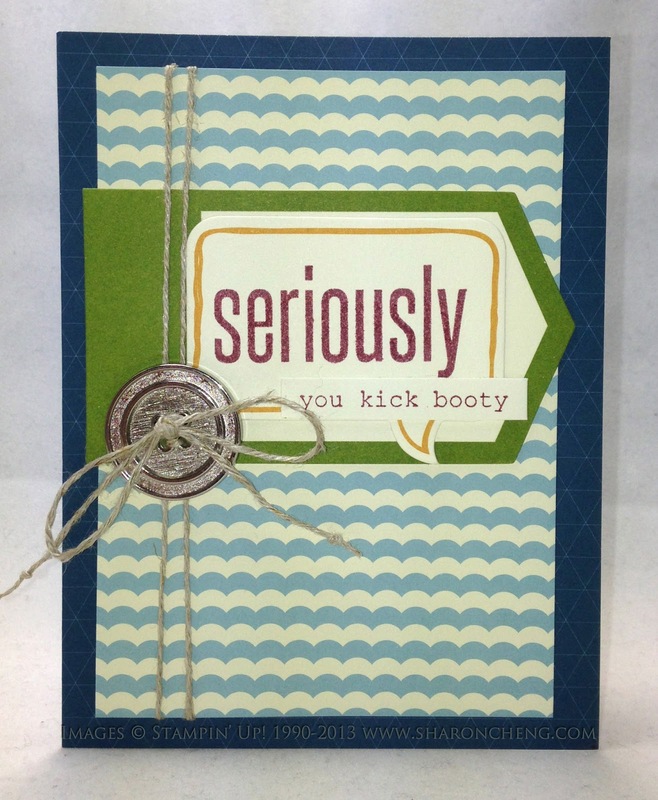 I wish this type of card stock was available in Stampin' Up! 's catalog! No matter when you join, you'll get this welcome kit the first month. That's because it includes the clear block that you'll need for your clear mount stamps that come with the rest of the monthly kits. Join by the 10th of the month to get your My Paper Pumpkin kit in the mail! When you use the links in this post, you'll automatically be registered as one of my customers. Otherwise, please remember to choose Sharon Cheng as your demonstrator. What do you think will be in next month's kit?